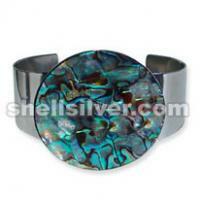 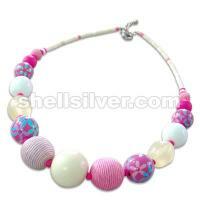 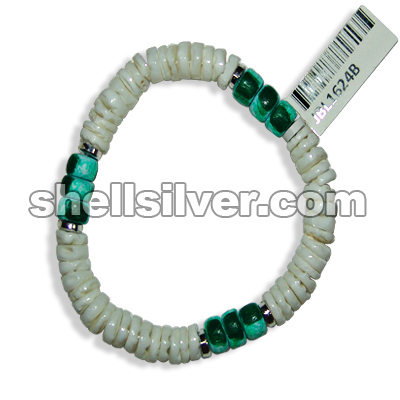 Bracelet 7.5 inches in 7-8 mm white shell heishe, 6 mm flat pukalet silver coated and 7-8 mm wood pukalet green with splashing. 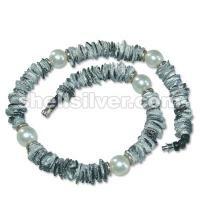 Capiz chips natural white round design, 54 strand, 1620 pcs. 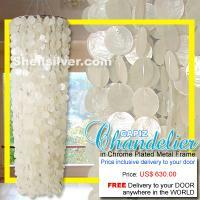 50mm capiz round chips, 57 inches base to bottom, head frame 16 inches diameter. 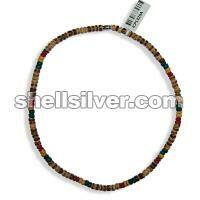 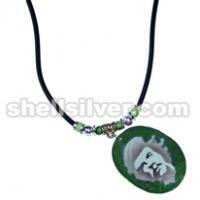 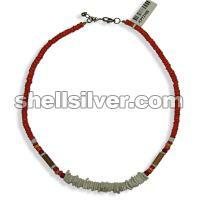 Necklace 18 inches in 4-5 mm coco pukalet tiger, red, yellow and green.